(AFP) Syrian government forces have retaken “full control” of the rebel-held district of Masaken Hanano in northern battlefield city Aleppo, state media said on Saturday. State television said “the armed forces retook full control” of the largest rebel district in the east of the city, and official news agency SANA said operations were now under way to clear it of mines and bombs. “The armed forces retook full control of Masaken Hanano after having put an end to the presence of terrorists there,” the state broadcaster said, referring to the rebels fighting the regime of President Bashar al-Assad. The capture of Masaken Hanano in the northeast of Aleppo could give the army line-of-fire control over several other parts of the city’s rebel-held east. 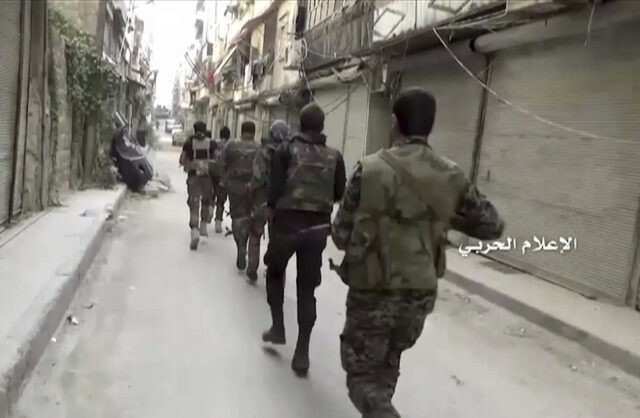 The operation is part of a major offensive now in its 12th day to take back all of Aleppo, Syria’s second city and its economic capital before the war broke out in March 2011. Observatory head Rami Abdel Rahman told AFP on Saturday that the government forces were in control of 80 percent of Masaken Hanano and had the rest in their line of fire. “They just hundreds of meters away from isolating the northern districts of east Aleppo from the southern ones,” he said.